A man who previously surrendered under Oplan Tokhang was arrested in an anti-drug operation in Baclayon on Sunday. 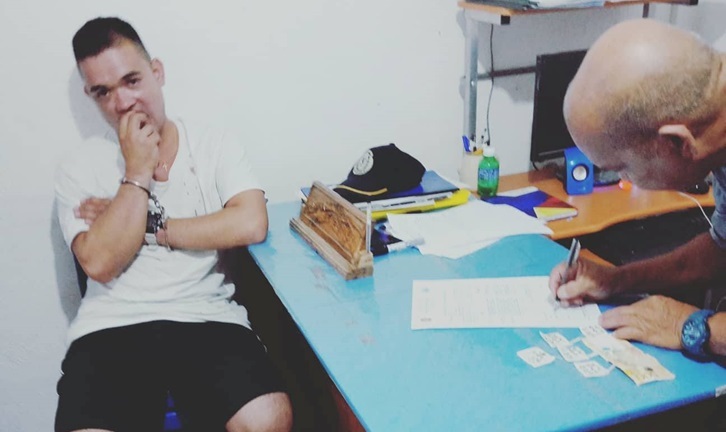 The Baclayon police identified the alleged drug dealer as Glen “Loklok” Roxas, a resident of Baranagy Landican of said town. In a report, police said that they spotted Roxas selling illegal drugs on Sunday afternoon. Operatives led by Baclayon police chief Sr. Insp. Raymund Halasan subjected the suspect to a drug buy-bust operation. Roxas was immediately taken into police custody after he allegedly sold shabu worth P500 to a poseur-buyer. Police said that they found three more packets of suspected shabu in Roxas’ possession following the arrest.